I’ve already had my cereal this morning, but is it wrong that all I can think about is cake for breakfast… and the fact that I’m not at the Contemporary right now, having some? Thank GOD I’ll be Disney-bound with my family in April, because the sweetest news to come out of the House of Mouse in a while is literally making my rose-gold-loving heart beat 4 times faster than it should. 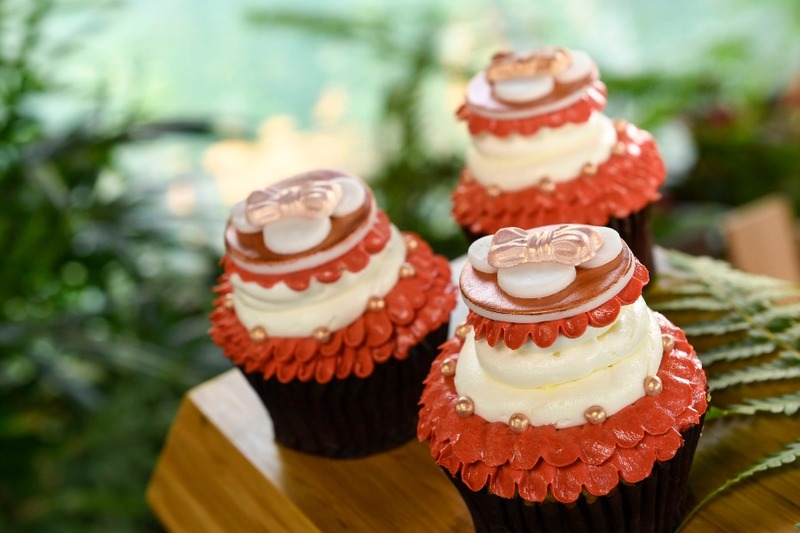 Get ready Mouseketeers, because WDW just rolled out a new cast of rose gold gilded cupcakes to join their inaugural launch at Sunshine Seasons in Epcot earlier this year. and they are sooo fancy, you literally couldn’t feel more like a princess eating one. Harry and Meghan, maybe you want to commission a Disney pastry pro and switch up your regular old regal palette for something a little more millennial?!?!! 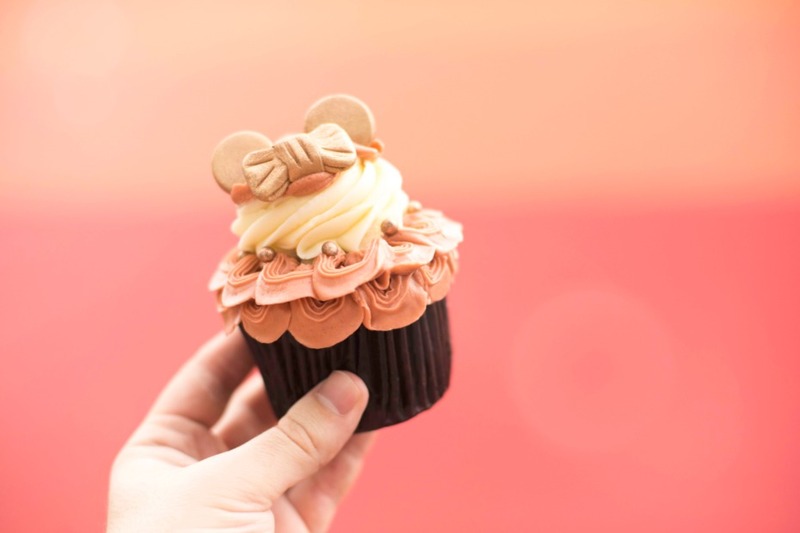 Anyways, we just read about these debut additions to the Disney edibles empire, and we’re basically ready to jump on a plane RN. We’d do just about anything for glittery pink buttercream, really. So what’s the lineup and where can you score one of these character cupcakes? Well let’s get into it. Oh, and don’t forget to flip through our slideshow to take a peek of these petite rose gold pretties in all of their glory. They’ve got our favorite flavor by far. 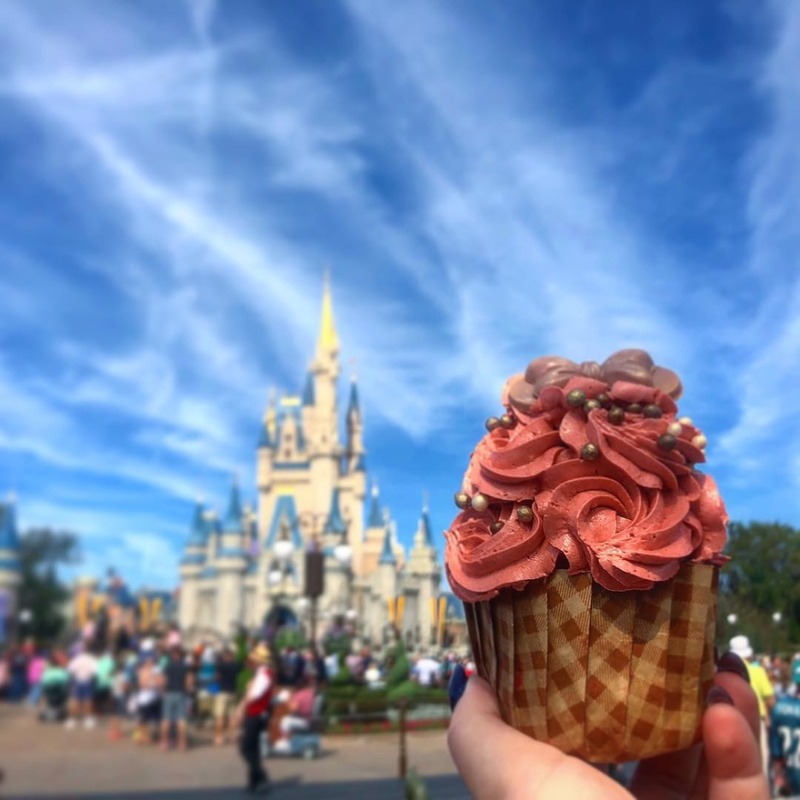 Here, you can pick up a rose gold red velvet swirl cupcake topped with a mini vanilla cupcake, rose gold buttercream, crispy chocolate pearls and rose gold chocolate Minnie ears. If red velvet could ever get better, it’d be because of rose gold buttercream. Too good. In case you’re feeling like you need to curb your gluttony with something healthy (okay, maybe not healthy, but fruity for sure), you can have this strawberry rose gold cupcake with strawberry icing and crispy pearls. Sometimes the classic vanilla cake is just what Mickey ordered… At these two resorts, you can binge on rose gold vanilla cupcakes served up with strawberry filling, vanilla buttercream, crispy strawberry pearls and a chocolate rose gold Minnie hat (Contemporary's Contempo Cafe) or pumped full of tropical guava pastry cream (Polynesian's Capt. Cook's and Kona Cafe). 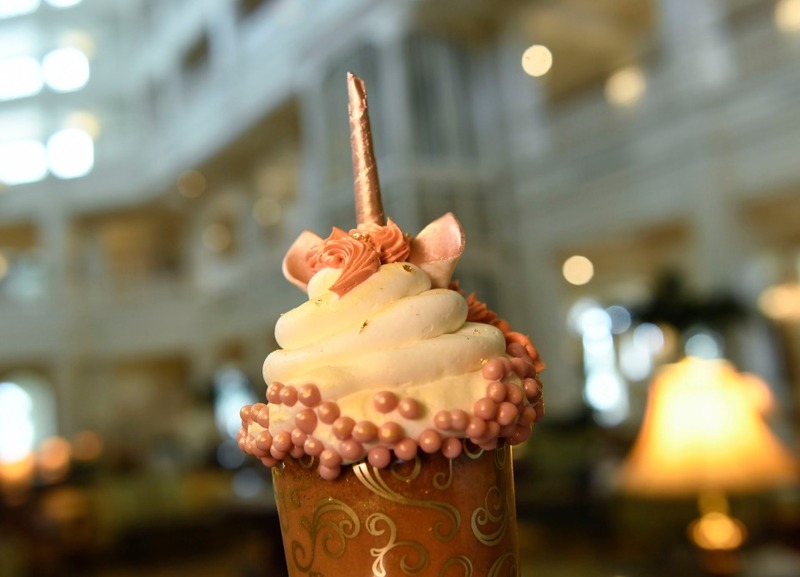 Because a rose gold unicorn cupcake is extra in ALLLL the ways we need it to be, the Grand Floridian is doing it with rose gold sponge cake and a hazelnut cream cheese filling. And we’re drooling. And if you have a rose gold vanilla cupcake, you have to have a rose gold chocolate one too! 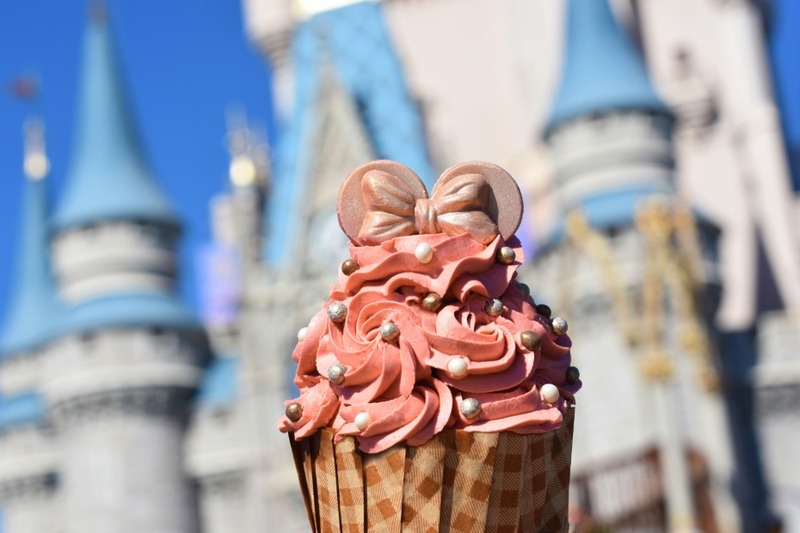 So, you can find ‘em at these Disney properties (Intermission Food Court, The Artist’s Palette + The Paddock Grill) complete with strawberry buttercream filling and topping, chocolate ears and crispy chocolate pearls. 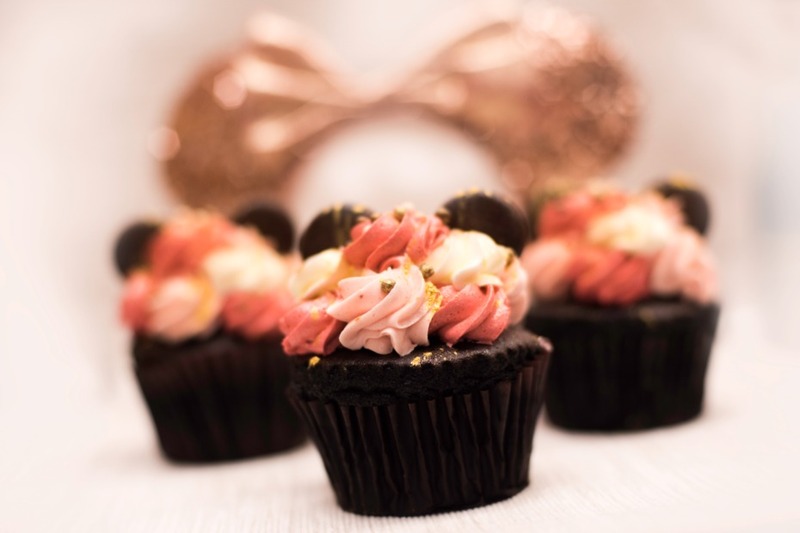 And the prettiest look is perfected with a rose gold yellow cupcake. You can dig in at three places all around Disney’s BoardWalk. 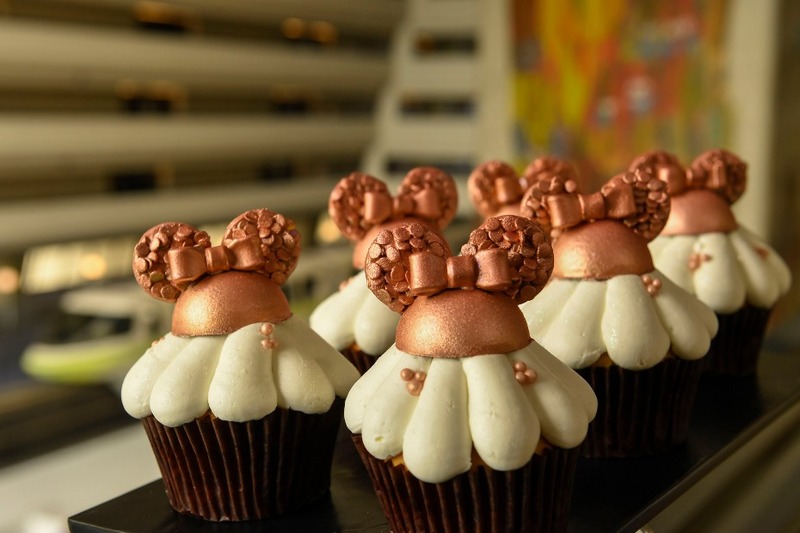 The cakes at the resort eateries (Beach Club Market Place and The Market at Ale & Compass) have a strawberry-chocolate mousse and buttercream icing, while the BoardWalk Bakery cake comes decked with rose mousse, whipped cream frosting, rose gold Minnie ears and crispy rose gold pearls. Gorgeous!! And can't forget the OG RG CC at Sunshine Seasons! All photos courtesy of Walt Disney World.